The new vogue in boating magazines is writing about boating on a budget. But boating on a budget is like skydiving from a stepladder. Which is why the top of my head is flat. I&apos;ve been boating cheap since before the cows started coming home. I can&apos;t say I&apos;m proud of it, but I can&apos;t say I&apos;m not, either. What I can say is that it&apos;s the only way I&apos;ve been able to be on the water all my life. And even though the concept may seem oxymoronic, there are ways you can actually do it. I did get some help in the beginning from my parents, who had Uncle Ernest build me a little 12-foot skiff. My father paid for it - probably around 25 bucks. This was when I was 9. My boating money came from selling crabs to neighborhood ladies when I could get some free scraps for my pots, and by cutting grass in neighborhood yards when the big guys with the muscle mowers were on vacation or hungover. It wasn&apos;t quite enough money to go yachting, but I made do. I&apos;d always dreamed of sailing the bounding main in a square-rigger - like in the pirate movies. So I borrowed an old sheet for a sail, stretched it out between my two oars, which I&apos;d tied to each end of the thwart, and sailed down the bounding river. A small price I had to pay was my mother&apos;s unhappiness when it turned out the sheet wasn&apos;t so old after all. I guess I should have figured that out when I pulled it off the clothesline, freshly laundered. The other price came when I realized I had no way to steer, since I only owned two oars. Smugly saving the day, I threw over my brand-new old cinder block anchor. It didn&apos;t take me long to discover that I shouldn&apos;t have scrimped by buying such a short rope for it. Perhaps that&apos;s one of the reasons my parents gave me my first outboard, a 5-hp Johnson. If there were a lesson in that, it would have been that if you do stupid things you get stuff for free. Of course, if that were true, I wouldn&apos;t have had to worry the rest of my life about spending money. Nor would a lot of other people I see out on the water. A few years later, I joined the Sea Scouts, hoping for some help with my boating. We got an old admiral&apos;s barge, which had been sitting in a scrap yard since World War II. I&apos;m sure it gave many an admiral a fine ride, but not so for us. It didn&apos;t have an engine, which was a good thing, because it wouldn&apos;t float. No matter how much we caulked and pumped, it wouldn&apos;t float. Finally, we had to tow it across the river, pumping like mad, to an inglorious demise among the marshes. But while it was demising, I worked for days to remove the fine brass portholes from its metal superstructure. They were free, except for the work and the trips across the river. I later used them when I installed a plywood cabin on the 18-foot skiff to which I had graduated. I&apos;d always wanted a boat with a cabin and portholes, and I&apos;d definitely always wanted to look out on the water like an admiral. But these portholes weighed almost as much as my outboard. To make matters considerably worse, I&apos;d found an old ship&apos;s steering wheel, complete with spokes and a wood drum, on an old wreck washed up in the marsh after a hurricane. I&apos;d always wanted to steer with a real ship&apos;s wheel, just as I&apos;d always wanted to be looking out an admiral&apos;s portholes. So I mounted my free steering wheel to the aft side of that cabin on the bow. I was a very scrawny kid, but my weight up there standing at the wheel, adding to the weight of the free portholes, not to mention that of the cabin, made that boat always run downhill. So I thought I was saving money on gas. But that boat never sank (at least not with me in it), and I kept on trucking, getting bigger and better boats, spending as little as I could, which hasn&apos;t ever been much. While I usually had fun, I learned that "getting what you pay for" can have some serious consequences, especially on the water. There are some basic things to remember if you want to be cheap on a boat. (If it makes everyone feel better to call it "boating on a budget," that&apos;s OK with me.) The first is to not kill yourself in the process. Being out on the water is inherently dangerous, notwithstanding certain boating commercials and media stunts that suggest the contrary. We are land creatures, not sea creatures, and this means we must be extra careful on the water. Cheap stuff can and often does contribute to lack of safety. The second thing is to remember the ultimate goal of boating: to have fun, to enjoy the wonderful experience of being on the water. Extreme budgeting, like most things done to extreme, can lead to unexpected and highly unwanted results. An example: I&apos;ll never forget the family we met some years ago. Wife, husband and several young kids had trailered a small sailboat (around 23 feet) from California to South Florida. There, they launched and sailed across the Gulf Stream to the Bimini chain. There, it was too rough for them to anchor, and they couldn&apos;t afford a marina. They quickly realized they weren&apos;t having fun and wisely quit and struggled back home. The third thing to remember is that people who make it possible for us to be on the water need to make a living, too, and we shouldn&apos;t expect them to give that up so that we can pretend we&apos;re pirates and that this is a cool thing to do. Now that I&apos;ve been properly critical of cheap boating, it&apos;s time to talk about some tricks of the trade I&apos;ve learned through my years of staying afloat while being broke. There&apos;s an underlying truism, often overlooked today, that goes to the very root of the matter: Don&apos;t buy more boat than you need and are going to actually use. We&apos;ve seen many people retire and buy beautiful little ships specifically designed for going around the world. They do this because they lust after these yachts - as do I - because they are truly great boats and because they think they actually do want to sail around the world. They think this because of exciting accounts they&apos;ve read, because of seminars they&apos;ve attended and because that dream is a part of the psyche of most of us who love being on a boat. But many buyers of these boats soon discover that crossing oceans isn&apos;t really what they want to do or can safely do. And soon the boats are for sale, often at a loss, making it difficult for these people to pursue a type of boating that&apos;s more realistic for them. Some, though, do live this dream and have a wonderful time. The same concept applies to buyers of any other type of boat. We&apos;ve seen many very nice, very fancy center console fishing boats for sale on the side of the road lately. 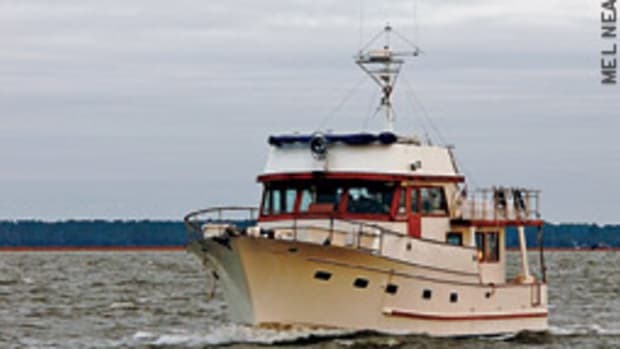 They&apos;re decked out with multiple beast engines, a huge array of electronics and everything else you&apos;d need to go fishing every day 20 to 60 miles out. But when you talk to the owners, you find they seldom fish them more than an hour or so away from the ramp. You also find out that this is not just because they can&apos;t afford the fuel - it&apos;s also because they don&apos;t have the time, the weather seldom is stable enough, and often one piece of electronics or another is on the fritz. They had bought their dream boat, and that&apos;s all it ever was, even after they&apos;d signed away whatever financial security they may have had. If you&apos;re into fishing, examine your fishing patterns - what you like, what you know, what you have time for - and then decide what you&apos;re really going to do with that boat. Perhaps the one you have or a much smaller step up is just fine. The trick is to find out what is going to work for you before you buy. And you can&apos;t really do that by listening to or reading hype. Don&apos;t let your fantasies override the truth of what&apos;s going to make you happy or the hard, cold realities of your bank account. You&apos;re not really going to have fun if you can&apos;t pay for the thing. And remember, you don&apos;t need to keep up with your neighbors out on the water. They probably won&apos;t be there. You don&apos;t always have to buy marine products. There are many instances in which a product off the general retail shelves will do just as well. But it&apos;s critical to distinguish between non-marine products that are OK and those that can cause problems, such as my cinder block anchor. For example, we have a home entertainment center aboard Chez Nous that&apos;s off the shelf and powered by 110-volt AC. This isn&apos;t a problem. When sitting at anchor, we power the system through an inverter. It&apos;s great not to have the generator drown out the surround sound. But I&apos;d never consider using an inverter or battery charger that isn&apos;t approved for marine use. Fire, electrolysis and electrocution are just some of the hazards you risk by taking that route. purpose binocular set you might get at a discount outdoors store. Our GPS/chart plotter is a Standard Horizon CP300i with C-MAP Max cartography. I&apos;d never consider less expensive GPS equipment designed more for hiking and hunting or a cell phone app for navigation. And I&apos;d never use a non-marine shore power cable. Although a hardware store extension cord may seem to work fine for a while, it could lead to disaster. But I have used non-marine outdoor jacketed telephone lines to connect my boat&apos;s phone to a dock phone jack. These don&apos;t last long and should be regularly inspected, kept out of the water and protected from abrasion, but I&apos;ve used them for years with no problem. These can be replaced many times for the price of an "official" yellow marine phone line. In apparel, resist the fashion-show temptation. High-quality marine foul weather gear is great. I have a set. I spend a lot of time under way and offshore. But for going out fishing for a few hours or knocking about on weekends, I wear cheap rain gear. It may not "breathe," but it does the job. Before opting for a cheaper product, investigate. It helps to ask others who&apos;ve used the product, and it also helps to read the label. Labels and manufacturer spec sheets, often available on the Internet, can be a great tool for deciding whether a cheaper product is going to do its job. For example, I&apos;ve had no problem through the years using inexpensive outboard oil (as found in Walmart) for my very old 2-strokes, although wiser people strongly disagree. If you compare labels with those of costlier oils sold by outboard manufacturers, you may see that the ingredients are essentially the same. And I&apos;ve never had trouble with them. 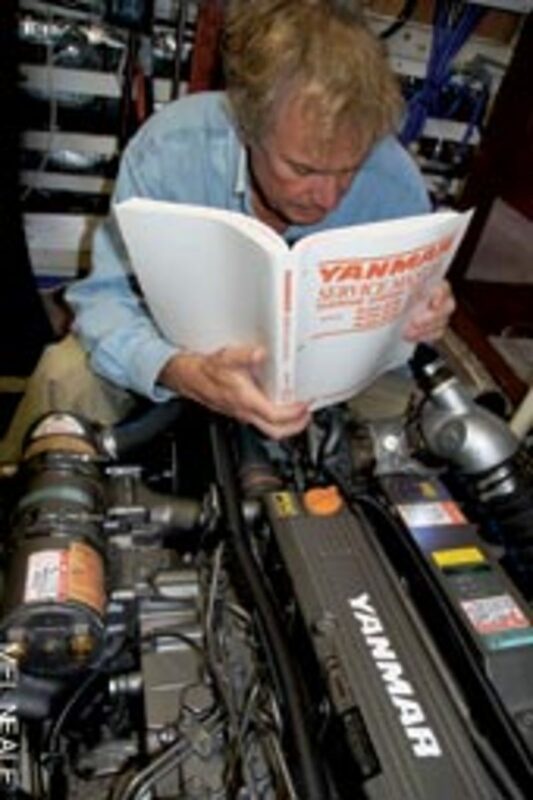 But I would never consider using anything other than Yamaha oil in my new Yamaha outboards. Labels are even important when choosing hardware. Something may look like stainless when it&apos;s actually chrome-coated zinc. Reading the label is important for any product, especially if it seems like you&apos;re getting a bargain. For example, when buying less expensive caulks, glues, fillers and other chemical-based products, check for a sell-by date. I recently purchased several tubes of a well-known brand of glue at a Walmart. I&apos;d successfully used this glue on board many times before. I followed the instructions on the package, and the next day I found the glue had never set up. I looked at the package again. The glue had what appeared to be a "best used by" date going back several years. I returned the tubes to the Walmart, where the shelves were still full of glue with that date, and I asked if that&apos;s what that date was about. No one knew for sure, but they "guessed" maybe it was, saying they&apos;d be glad to refund my money. But I&apos;d lost hours doing the job, had a mess aboard and had to clean up the goop and start over again. Distinguish the situations where scrimping can cost more in the long run than what you save. Buying an anchor line that&apos;s too thin is an obvious example. So is buying an anchor that is too small or a cheap imitation of a well-known brand. In my article in the December 2009 issue ("Value is measured in product longevity"), I spoke of Camp zincs vs. cheap zincs. The latter may degrade prematurely, causing you to think you have a serious electrical problem when you don&apos;t, not to mention leaving your boat unprotected. This is a great example of when buying cheap can cost you more. A cheap inflatable tender may look appealing, but if you have to replace it twice during the typical life span of a quality model you haven&apos;t saved any money. 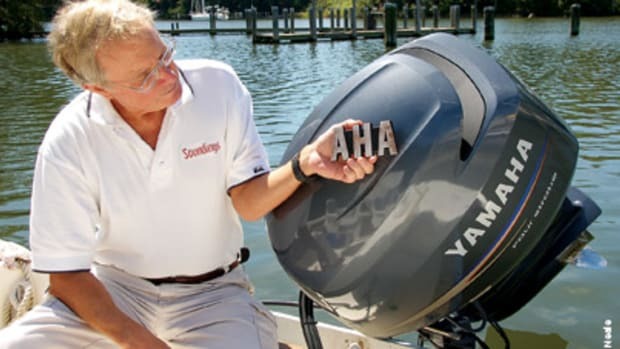 A cheap used outboard may seem a bargain, but if it requires constant repair, it&apos;s not a good deal at all. Polypropylene rope is certainly cheaper than nylon, but a year or so of exposure to UV will make it useless. Cheap-grade vinyl "windows" for cockpit and flybridge enclosures will soon discolor and crack. We&apos;ve used higher grade Strataglass, and it&apos;s lasted twice as long, saving lots of money in the long run. As the last example well illustrates, when you buy something less expensive, consider the labor, if any, that will be required to replace it. In the case of a cockpit enclosure, not only will you have to pay to replace the material prematurely, you&apos;ll also have to pay a second time for installation labor. When I shop for any product, I stay away from anything packaged to resemble an old tried-and-true brand but made by someone else. I don&apos;t trust a manufacturer that does this. In my opinion, this amounts to an unfair taking of someone else&apos;s branding and a deliberate attempt to mislead the consumer. A company that does this probably isn&apos;t making a product that&apos;s fairly priced or one that will deliver the quality to save money in the long run. Having said this, I have to admit that some of these products perform just as well as the original brands. But it pays to be skeptical. 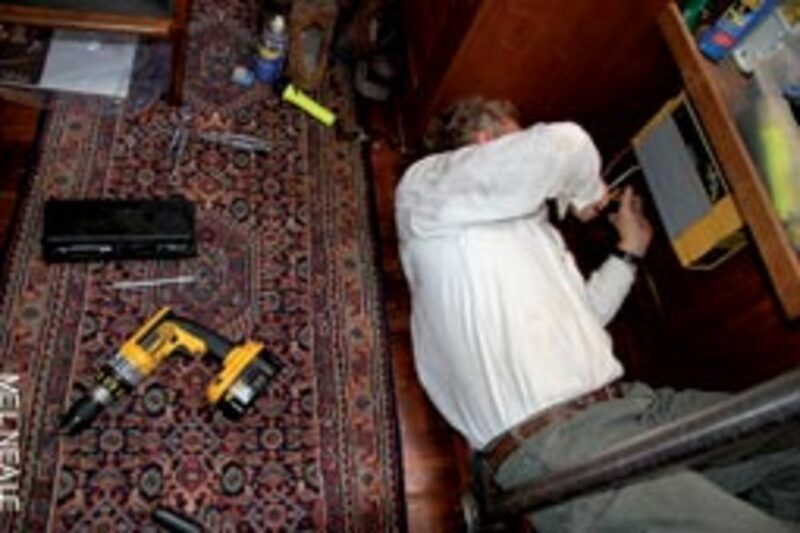 The more maintenance and repair work you can do well yourself, the more you&apos;ll save. There are four basic tricks here. The first is to know your limits. There are certain things many of us can&apos;t do. There are also some things that none of us can do - things that should be left to trained professionals. Tackling these projects is asking for trouble and big expenditures. Examples might include working on electronics, refrigeration and repairs inside the engine - pulling the head isn&apos;t as simple as it might sound. Things that many can do or can learn to do include engine repair and maintenance outside the engine - such as changing an impeller, raw water pump, starter, solenoid, recirculation water pump, thermostat and alternator - cleaning battery terminals, replacing bilge and freshwater delivery pumps (you can rebuild many of these), windlass maintenance, servicing steering systems (usually involves greasing in the right places, inspecting connections and perhaps adjustments like tightening), and repair of deck and plumbing leaks. Of course, that&apos;s just a partial list. The second basic trick is to get the education needed to do things yourself. Sitting in on seminars at boat shows and owner rendezvous is just a start. 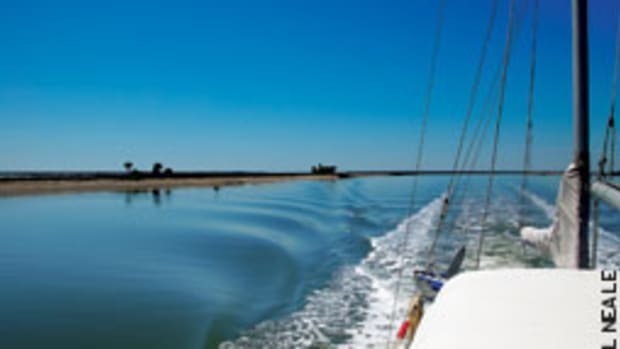 Read technical sections of magazines and invest in marine how-to books. When you must hire a professional, watch him and learn. Some of them don&apos;t like this, but it&apos;s your boat, you&apos;re paying the bill, and if you stay out of the way and don&apos;t become a pest, a good professional shouldn&apos;t object. The next time you may be able to do the job yourself. The third trick is to invest in good tools. In my opinion, good tools are better than money in the bank. They may be expensive, but if you use them well they can save you a fortune. Don&apos;t go out and buy one of those large, expensive prepackaged tool sets. Many include items you&apos;ll seldom, if ever, use. Bear in mind that we aren&apos;t all capable of being master mechanics or craftsmen. Some of us simply don&apos;t have the aptitude. You probably have an idea of where you fall, though it may not hurt to challenge yourself from time to time to see what you can learn. So build your tool set as you build your skills. 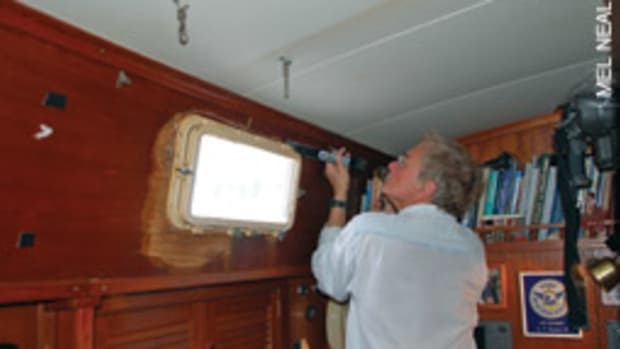 Lastly, learn not only how to repair things aboard but also how to use the things you have - whether they&apos;re expensive marine grade items or off the shelf from a hardware store. 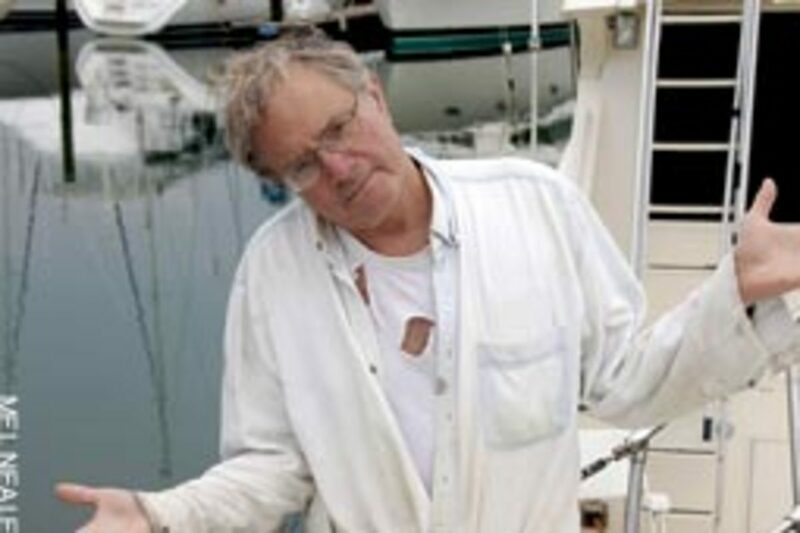 For example, when coiling that anchor line that set you back a small fortune, don&apos;t do it around your arm. Loop it and shake it out as you do so to allow the strands to lie in the coil naturally rather than being forced to lie across themselves, resulting in kinking and early fatigue. Use good chafing gear to avoid abrasion, which can ruin a line in one blow. Good chafing gear is very inexpensive and can save big bucks. When you take off for a day, weekend or longer, do things that don&apos;t cost much. You don&apos;t have to go to a fancy waterside restaurant and spend a small fortune to be part of an "in" crowd. Consider going to a nearby beach where you can anchor off and wade in, or perhaps snug your bow up onto the sand. Except for the fuel, this is free. 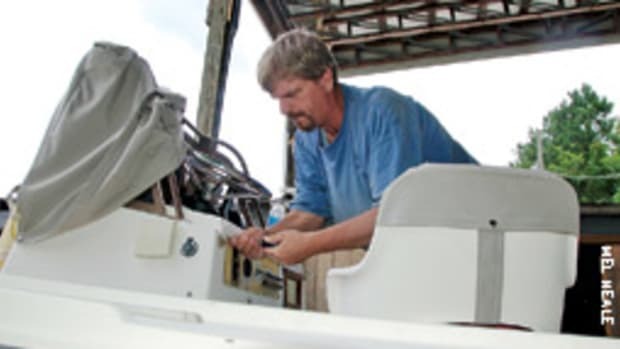 There are many things you can do to your boat to enable it to do more for you, which can add a fun, less expensive dimension to your boating. What you can do and how comfortable you can be will, of course, depend on your boat and how serious you want to get. But let&apos;s consider one example. It may be extreme, but I&apos;ve done it and enjoyed it, and I know of others who have. Anchoring out for one or more nights during a vacation or weekend can add enjoyment and save money. But many feel their boats are inadequate for this. They buy a larger one they can&apos;t afford or get out of boating altogether, feeling helpless because they can&apos;t add to their boating fun. But let&apos;s consider, for example, a 21-foot open family day-tripping boat. It&apos;s possible to rig a tarp to make a tent, with mosquito netting, over one section of an open boat for overnighting. Camping out too rough for you? Try it on a boat. Maybe you&apos;ll like it. And many simply buy a tent and pitch it on the beach or find a way to rig it on the boat. You may already have a cuddy cabin but feel it&apos;s too small for anything but ducking out of a short rainstorm. There are ways to adapt. There are various marine-grade charcoal and propane grills for cooking in small boats. A large ice chest or a 12-volt cooler will keep refreshments and food for a weekend. Some dishes can be prepared at home and reheated on the grill. You won&apos;t get that full hot shower you can get in a marina, but you can carry several 5-gallon jugs of water and take a brief but warm shower with a sun shower. It&apos;s a dark-colored, collapsible bag you hang up. The sun heats the water and then you shower. There are several brands. Admittedly this is an extreme example, but it illustrates the flexibility that is probably inherent in your boat, which can allow you to do more things on the water for less money. And the money you&apos;re saving, coupled with the extra fun you&apos;re having, may make it easier to buy that bigger boat a few years down the road when it&apos;s more financially realistic. Share boating. Depending on your boat and what you like to do, it can make sense to take turns going out on other people&apos;s boats and taking them on yours, sharing the costs. Fishing quickly comes to mind, but weekend cruises and simple Sunday afternoon rides also qualify for this kind of boat sharing. 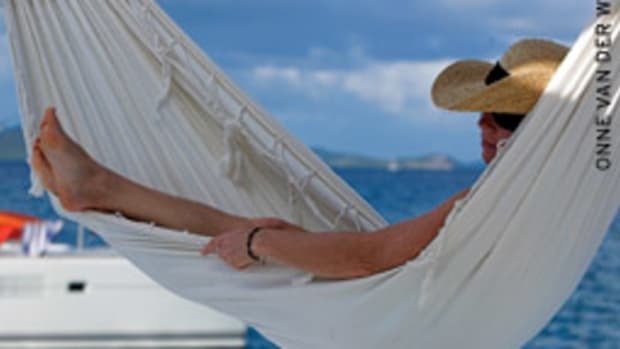 You may want to investigate some of the many fractional ownership options available, but be sure you fully understand the terms and conditions if you decide to buy into one. Some people are leaving their boats on the hard for the season. To me, that would be unbearable, but if it&apos;s necessary to keep the boat so you can use it next year, that&apos;s better than selling it. Some go to the extreme of cancelling their insurance while the boat&apos;s on the hard. This can be a very costly mistake. Fires, storms and accidents can still get you. And most yards require you to have insurance. Review your insurance policy. There may be some provisions you can temporarily drop. For example, you may be able to lower your limits of navigation if you&apos;re not roaming as far. Or it might make sense to raise your deductible. 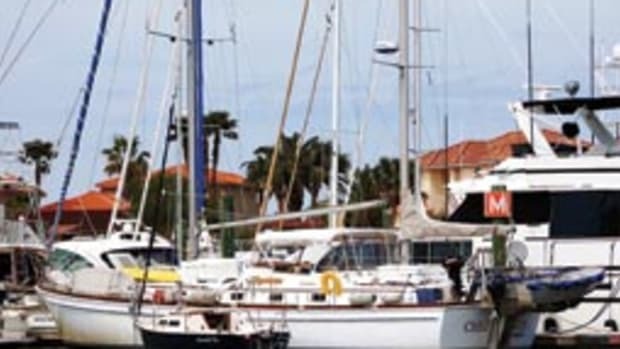 Your insurer will probably have special rates if the boat&apos;s going to be stored on the hard. Read the fine print and ask the insurer for help. They want to keep your business, and you might be surprised at what they&apos;ll do. Some people are getting out of boating. The catchphrase is: Boating is discretionary spending. 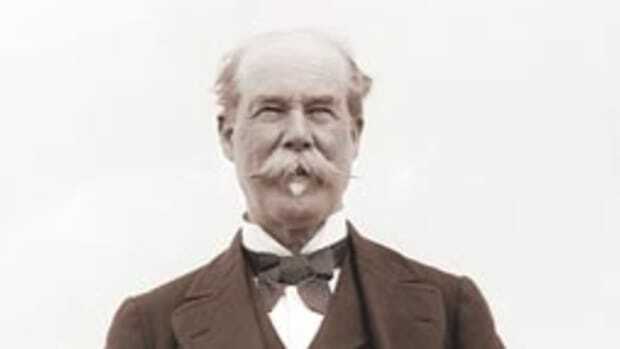 To me, it is not discretionary; it is an indispensable thrill of life every time I head out. Regardless of how you feel about what is and isn&apos;t discretionary, do your best to stick with boating if you love it. It&apos;ll be much more expensive to start up again if you let it go down the tubes now.